Mussenden Temple and Downhill Beach, Borough of Coleraine. 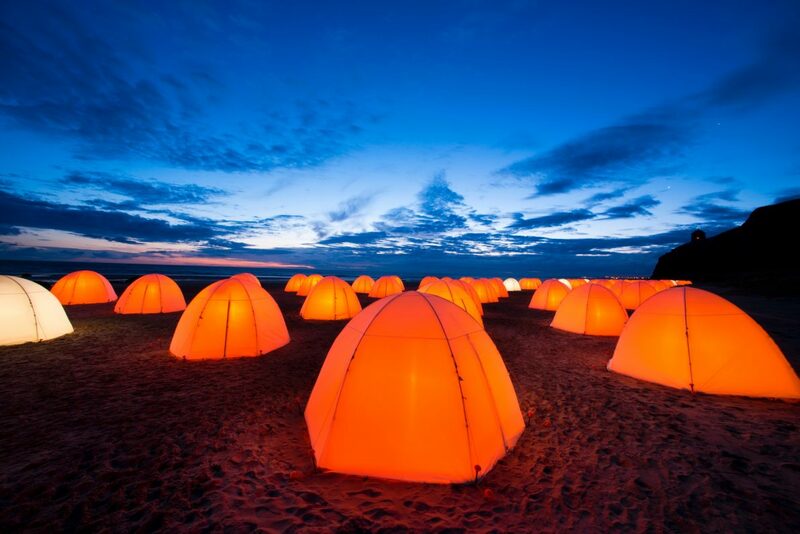 Peace Camp, Deborah Warner in collaboration with Fiona Shaw, 2012. Soundscape by Mel Mercier. Sound Design by John Del' Nero. Produced by Artichoke. Photo by Chris Hill. A coastal installation celebrating love, poetry and landscape. Inspired by the Olympic Truce, renowned director Deborah Warner was commissioned to create Peace Camp in collaboration with actor Fiona Shaw. Part of the London 2012 Festival.